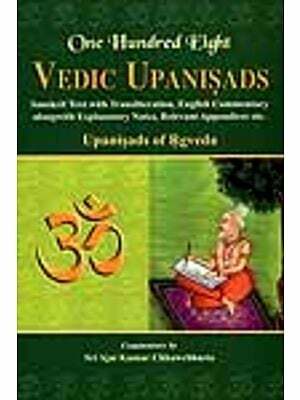 The upanisads are the records of the great spiritual experience of the seers and saints of ancient India. They point out the possibility of realizing the supreme Goal by every sadhaka. The major texts are of great value in disciplining the mental, moral, and physical activities of the individual to whatever creed he belongs. These profound works forming the integral core of perennial philosophy are eternally valuable to man. The need of these texts is more in modern times when man is tossed between conflicting desires, goal, ideals, and ways of life. They must be made to speak to the modern man is a medium he can easily comprehend. This is what Swami Gabhirananda has achieved in this work. In a simple language, freed from technicalities of a philosophical or a theological discourse, the Swamiji has offered us this great treasure. After going through his version, one would long to cleave to the text for ever. More of such is the need of the hour. According to Sri Sankaracarya, the word ‘Upanisad’ means the knowledge of Reality which destroys or loosens the hold of ignorance on the mind of man, and which takes him to mask or Self-realization. Like a lamp illuminating a cavern, where darkness has reigned from beginning less time, is the spiritual light of the Upanisads. It instantaneously dissipates the darkness of ignorance in an aspirant’s understanding, and destroys his false identification with the body-mind complex; it establishes him in his true spiritual splendour. 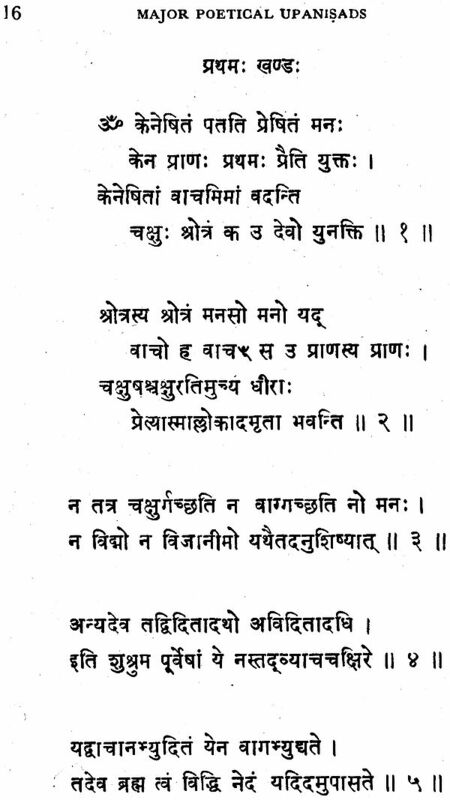 Both these interpretations point to the true purpose of the texts called Upanisads. It is not mere scholarship or mere proficiency in quoting texts in debates in order to establish one’s reputation as a scholar. It is the assimilation and practice of the teaching; it is the attainment of the direct knowledge of the supreme Reality, consequent on the dissipation of the darkness of ignorance which enshrouds the aspirant’s apprehension of the Self and of nature. What is the fundamental teaching of these Upanisads? In a foreword such as this, a detailed discussion of it is superfluous. Briefly, it may be described as the discovery of the unity of all existence. To be satisfied with the perception of mere diversity and its utility in one’s daily life, is the characteristic of the pragmatic man. He merely lives, dies and takes rebirth until he realizes the futility of a life absorbed in meaningless diversity. Thereafter, he searches for a meaning. This quest ultimately leads him to the unity behind the diversity. The Upanisadic thinkers have described that unity as Sacciddnanda-Parabrahman (the Supreme Being who is• Existence-Knowledge-Bliss). He is further described as satyam (Truth), jnanam (Consciousness), anantam (Infinity) and anandam (Bliss). From Him this diversity has come, in Him it rests, by Him it is infilled and contained, Him it dissolves. Is it possible to prove this in a way more convincing than the presumption on which it is based? The answer of the Upanisadic seers is that there is a way, and it consists in direct experience. A mere external quest, as it obtains in most non-Vedantic religions, can lead one only to a dogmatic assumption about it. That Unity is then only a transcendental Reality which words and thoughts cannot penetrate. But to the Vedantist, Brahma, is not only transcendental, It ensouls the whole universe and every jiva in it; Brahman is immediate. By proper introspection, It can be intuited within by a pure mind. According to some schools of Vedanta, intuition gives the experience of the identity of the jiva with the supreme Self; and thus gives the most intimate understanding through ‘being and becoming’. 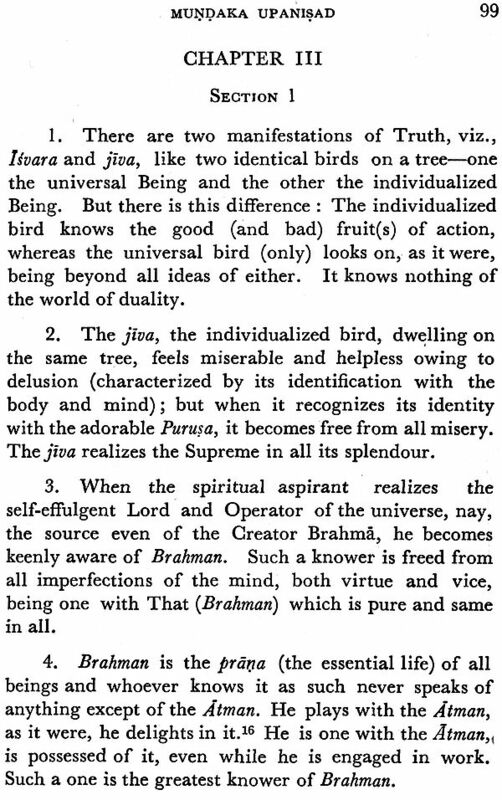 According to these schools, as the essence of the jiva is Brahman itself, this self-validating intuition of it as the Self can be had through proper striving. 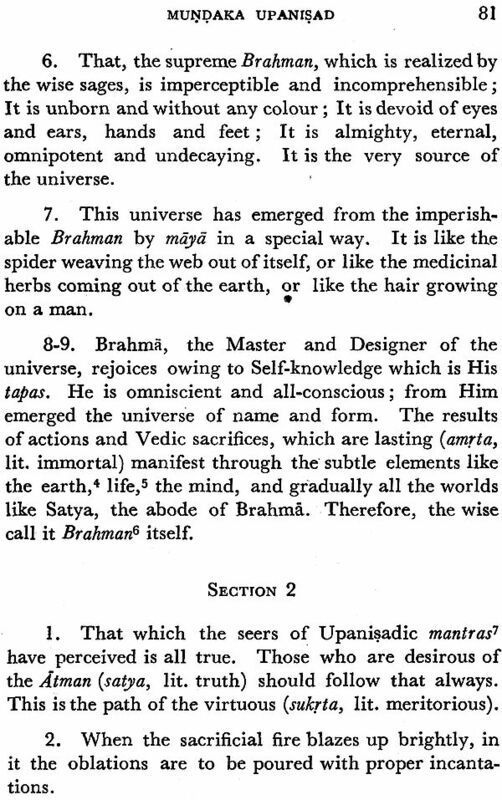 This brings us to the two main trends of teaching contained in the Upanisads —the Saprapanca (cosmic) and Nisprapanca (acosmic) doctrines about the supreme Reality. These have crystallized into what are known today as Visistadvaita and the Advaita philosophies. Generally there is an idea among students of Indian philosophy that these doctrines originated with Sri Ramanuja and Sri Sankara, their systematic exponents of modern times. This is not correct. 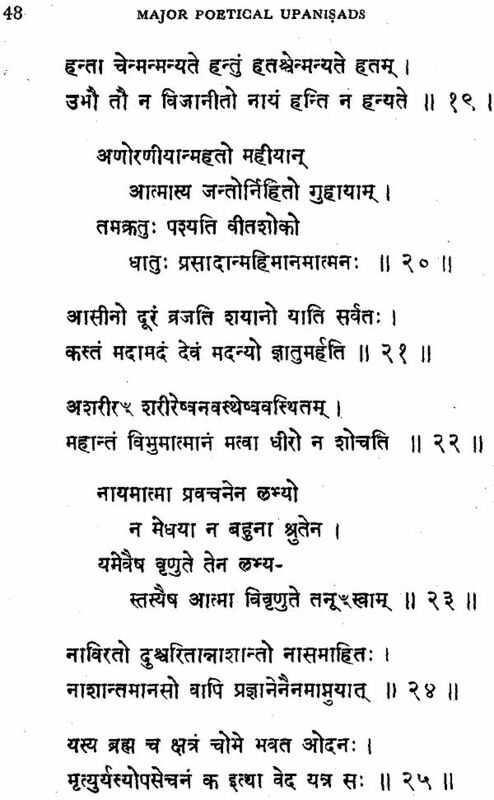 The Brahmasutro.s mention the names of three Upanisadic thinkers— Asmarathya, Ausulomi and Kasakrtsna—s representing these two trends of thought. In the Saprapanca ideal expounded by Sri Ramanuja, the world of multiplicity, including the jivas and jagat, have ultimate reality with a dependent status. The prapanca (the cosmos of multiplicity) is only the body, the mode, the indissolubly dependent attribute of Naryana or Purusottama who is described in the Upanisads as Satyam (Truth), jnanam (Consciousness), anandam (Bliss) and anantam (Infinity). The way to gain the direct and immediate experience of Him is by adoration and self-surrender, which make the uplifting and enlightening grace of Narayana available to the jiva. The Nisprapanca doctrine, familiarly known Advaita and associated with the holy name of Sri Sankaracarya, seeks to establish the unity of existence by the denial of ultimacy to the prapanca or multiplicity. It is given only a prima facie (vyavaharika) reality, which is relevant only so long as the jiva is in ignorance. The usual idea of God as the real cause of the universe, and the practice of religion based on adoration of Him, and also all the values and disvalues of life, have only this prima facie validity when the jiva is in ignorance. Ignorance can be destroyed by vicara (discriminative Knowledge). When the light of discriminative Knowledge enters the dark cavern of the aspirant’s understand- What contribution can these Upanisadic theories of the darkness of ignorance is removed forthwith. The prapanca (the manifold cosmos) never had an origin or existence. In Brahman, it is experienced in the state of ignorance; it is just like the snake experience superimposed on a rope in darkness. Though the rope had never become the snake, for the man in darkness it was so as long as he was not aware of the rope, its substratum. That state of intermediate reality is called pratibhasa, when it is of short duration as in the above example or in a dream, and it is called vyavahara when it is of cosmic dimensions for the jivas engrossed in basic ignorance. This intermediate reality is called mithya (falsity), and is a special category. It is neither totally real nor totally unreal. Both these are theories about the Absolute. One sees the Absolute as containing and infilling all diversities in a unitary existence, and the other sees the Absolute as the ultimate sublation or negation of diversity. Both these theories are present in the Upanisads, but an exposition of logical proofs about them (epistemology) is not given. The Upanisads contain only seminal Truths and are ontological in setting. They give a statement of Reality which the U directly experienced. The proof that they give also reveals direct intuitive experience and insight (anubhuti). Both the Saprapancha (cosmic) and Niprapanca (acosmic) doctrines occur clearly in the Upan4cads, but not so the metaphysical theories developed by later philosophers to justify the doctrine that their traditions (sampradaya) advocated. For, as stated already they are more ontological than epistemological. 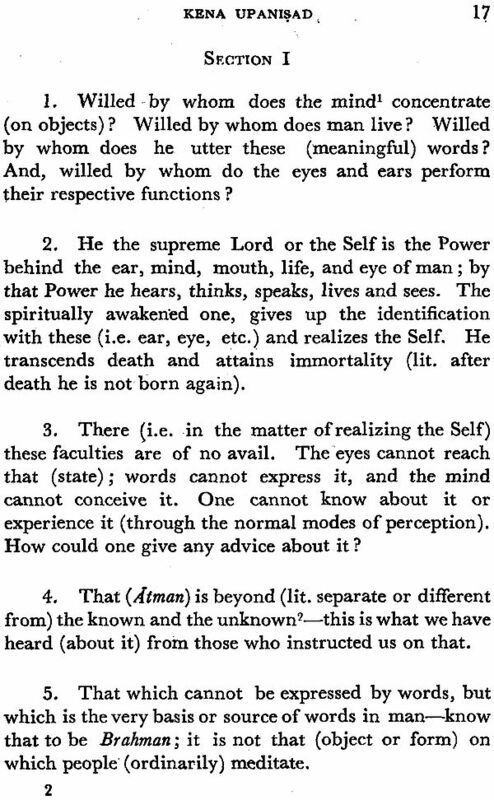 What contribution can these Upanisadic theories of the Absolute make to the spiritual life of man which is the main concern of religion in society? Religion is ordinarily a way of adoration of, and prayer to, a personalized Being who is the create or of the world. Of course, some religions, such as Islam, and to some extent Christianity, limit personalization to the attribution of human qualities such as mercy, goodness, and grace and stoutly deny any form to Him. Unsupported by a theory of the Absolute, such religions gradually slip into dogmatic prescriptions that are claimed as applicable to all alike without any consideration of capacities and aptitudes. They also tend to be imperialistic, and their Deity becomes the embodiment of their communal ego, claiming dominance over the whole world. When there is not such compulsion for dominance by an organized body of priests, unphilosophical religions degenerate into some kind of polytheism. A proper understanding and dissemination of the Upanisadic theory of the spiritual Absolute, all-comprehending and unaffected, is: the only way to save religions from both these aberrations. There are many translations of the Upanisads into English, and, even before these, one into Persian. No less a philosopher than Schopenhauer said of them, ‘They have been the solace of my life, and will be the solace of my death’. This new English version of what the translator calls the major poetical Upan4ads, which are as profound as they are poetic, is indeed welcome. For this rendering by Swami Gabhirananda is simple and explanatory, and through this translation even a layman can enter into the spirit of this great literature without the help of elaborate commentaries. After ages of diligent search, the sages of India realized the nature of the supreme Truth. 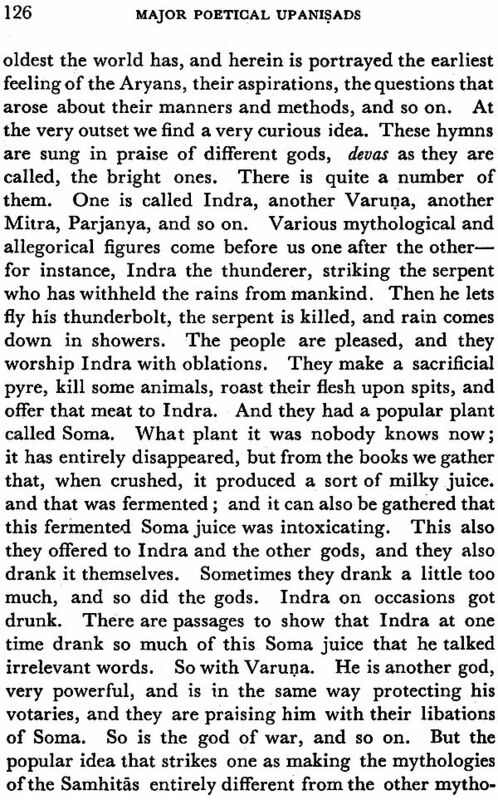 They named It variously as Brahman, Isvara, Bhagavan, Paramatman, and Advaya. It has a universal noumenal/impersonal aspect and also a phenomenal personal aspect. The knowledge (vidya) by which they realized Truth is termed Brahmavidya. 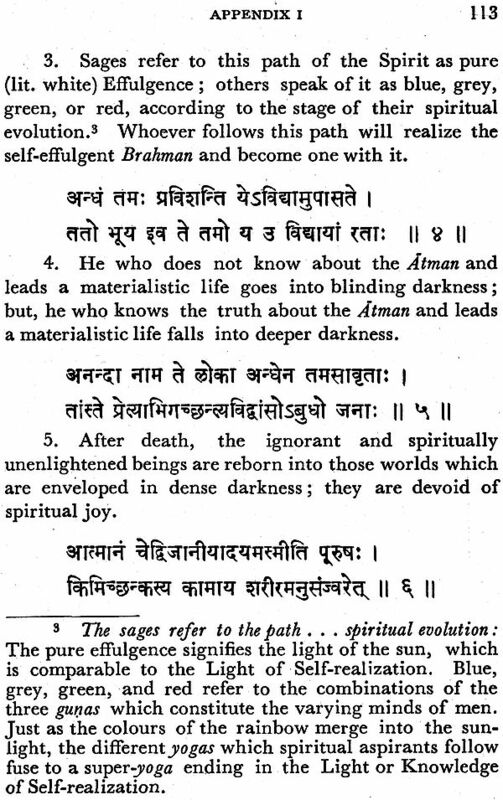 Shattering the shackles (lit, seeds) of man’s samsara, and completely destroying his embodiment and its concomitant defects such as disease, decay, and death, the knowledge of Brahman (Brahmavidya) leads the earnest spiritual aspirant to final emancipation (moksa). Hence it is known as ‘Upanisad’ —which word is derived from the root ‘sad’ meaning to destroy, to shatter, or to lead. With the prefixes ‘upa’ and ‘ni’, it signifies the individual who wholeheartedly approaches a teacher and practises this vidya. 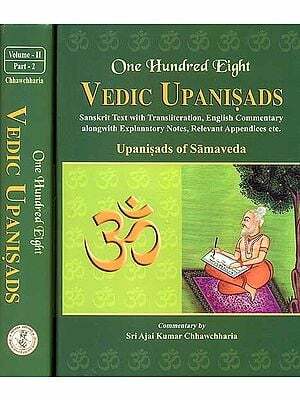 Subsequently, the sacred texts dealing with this knowledge and the means to its achievement also came to be known as the Upanisads. 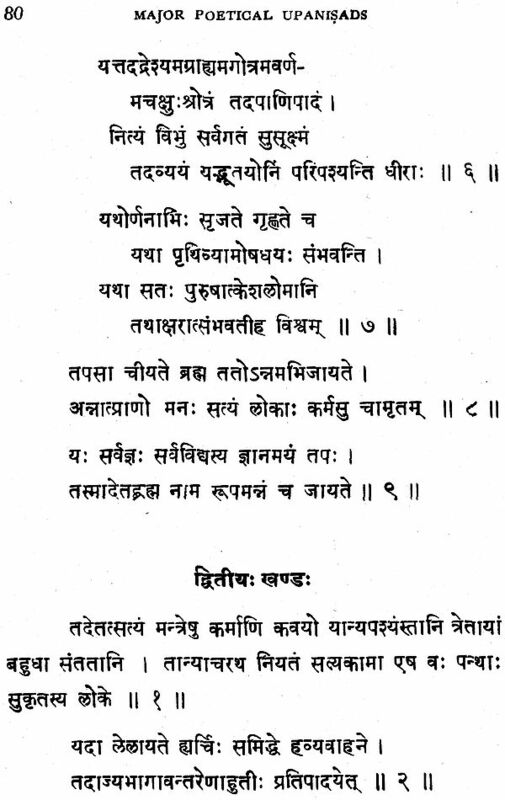 ‘Upanisads’ form the final portions or conclusions of the Vedas. They are the fruition of the research of centuries by sages on the ultimate Truth about life, on the nature of man and his relation to nature. The vital question asked by the disciple is: What is that by realizing which everything else becomes known? The clear answer given by the sage: The Atman is to be realized —it is first to be heard, then to be meditated upon, and then to be expressed in every movement of life. By realizing the Atman, everything else becomes known. The Upanisads were originally handed down orally from master to disciple or father to son. Later they were recorded in Sanskrit, the ‘perfected’ language of India, is each they were composed. 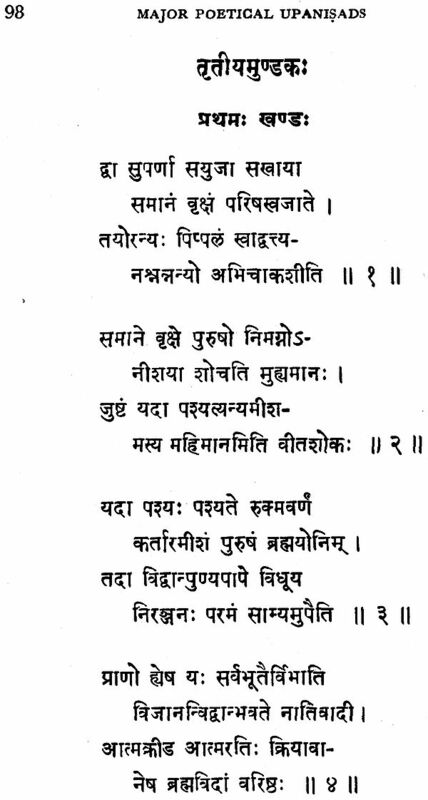 Though the Upanisads are many, the major ones, commented upon and annotated by Sri Sankaracarya, are ten in number. Of these some are in prose wile the other are in verse.